దర్బార్ షూటింగ్ లో జాయిన్ కానున్న నయన్ ! 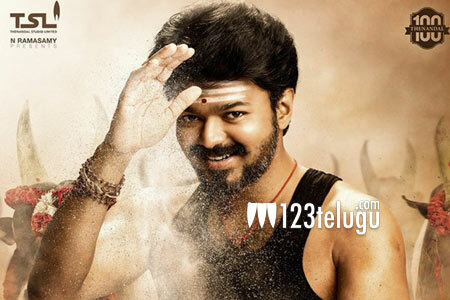 Vijay-Atlee’s Mersal was in news upon its release because of its references to GST and Digital India, and there was a lot of hue and cry about it for days altogether in October. Later, the film went on to become a huge hit. More than a month later, the film is back in news yet again with a noted playwright S Ve Shekar claiming that the producers suffered Rs 60 crores loss from the film. He also questioned the logic behind the shocking renumeration which Atlee reportedly got for the film. However, his allegations haven’t gone down well with Vijay’s fans and several people in Tamil film industry criticised him for making baseless statements when everyone agrees that the film is a blockbuster. We’ll have to wait and see what the producers of Mersal have to say about it.